A Mountain Lion in the wild on Vancouver Island in British Columbia, Canada is ready for a surprise attack on its prey. The Mountain Lion is one of the top predators next to the bears and real life hunts happen regularly out in the wild on Vancouver Island. 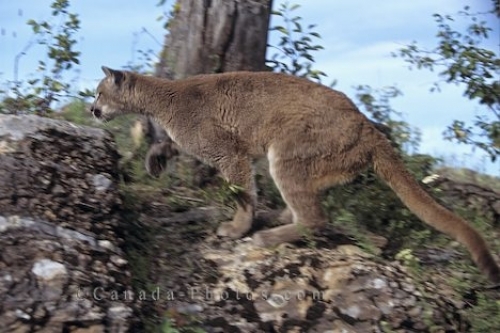 Picture of a wild mountain lion in action on Vancouver Island in British Columbia, Canada.